Elisha turned 6-years-old and got to go on a Game drive with our volunteers yesterday. Every day is unpredictable here. We wake up and make our plans for the day, then ask the Lord what His plans for our day are, and then it begins. We don’t know when a call to pick up a new baby is going to “interrupt” our plans or if plans will change because someone from an Embassy shows up at the gate, a medical emergency occurs or there is a fire to be put out (literally or figuratively). We did not receive any babies in the months of January or March, but we received eight in the month of February – no rhyme nor reason. So we go with the flow and hop in the car when we are called. Our children are on schedules and so their days are predictable and I love that I can jump in to their world at any time and know what they will be doing. For example, if there is a birthday party at the baby home it is at 1:30 PM. If there is a birthday at the toddler home it is at 3:30 PM. If there is a birthday party at Emseni it is at 4:00 PM. Toddlers go for a long walk from 9:00 – 10:00 AM and babies nap from 9:15 – 11:00 AM and 3:00 – 5:00 PM, so if I need a baby fix I need to go when they are not asleep. 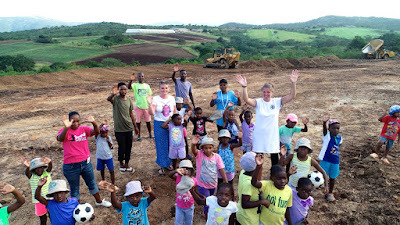 The rest of the farm is abuzz when 280 workers arrive at 6:00 AM and everything is goes quiet when they leave at 4:00 PM except for the sound of our bigger children playing outside after school. Gregory turned 3-years-old this week. We are currently building Emseni #5 for our girls, and that is a massive construction project that will take 6-7 months. In addition, our friends at Hummel in Denmark are providing the funds for us to build a regulation size soccer pitch for future games, tournaments and community outreach opportunities. As two of their people were visiting us this week (shout out to Ann-Sofie and Pia!) 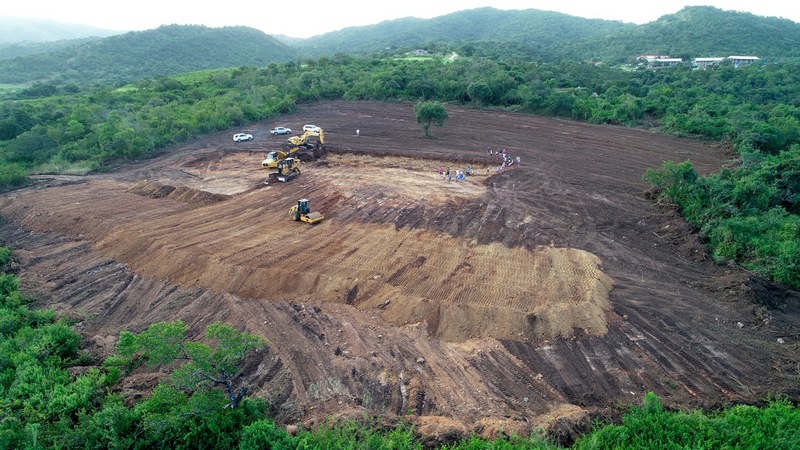 we took the opportunity to start clearing the land while the heavy equipment was here for other building projects. We took the Primary School kids to see it and you can see a photo below of the size and scope of the project. If you squint you can see the children in the right corner of the field. Our days seem to be busier than ever leaving Ian and I tired, yet fulfilled at the end of the day. I spend most of my days between children’s campus meetings and working on new product designs at Khutsala. One fills my heart and mind and the other allows me to use my creativity and marketing background. Ian spends his days in meetings with our construction team, at the greenhouse, discussing dairy plans or handling the many government or local business visitors who drop in unexpectedly. No day is ever dull, boring or wasted. We have had a team of volunteers here this week from the The Village Christian Church in Minooka, Illinois and it’s been fun to see the teenagers interact with our kids and staff. Today they are all at three of our church partners doing “well-child checkups” of all the children in each church. This helps us monitor our feeding programs and assess if the children are getting enough food or if there is still malnutrition in the area. Sadly, the issue of hunger and malnutrition is not getting better here in the tiny Kingdom of eSwatini, but we continue to do what we can for those we serve. So it’s a quiet Saturday for me, sitting in my yellow chair with Linda-honey (the cat) asleep at my feet. I have no plans for today other than to write this blog, but I just never know what will happen when my phone rings next. That is part of the fun of living in Africa, and serving the Lord. 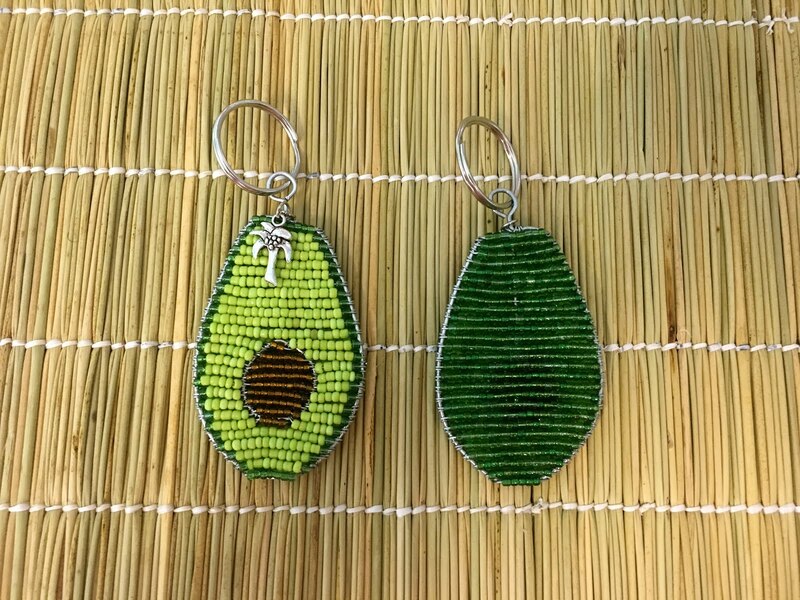 Thank you everyone who bought an avocado keychain last week or made a donation to Heart for Africa to buy an avocado tree! 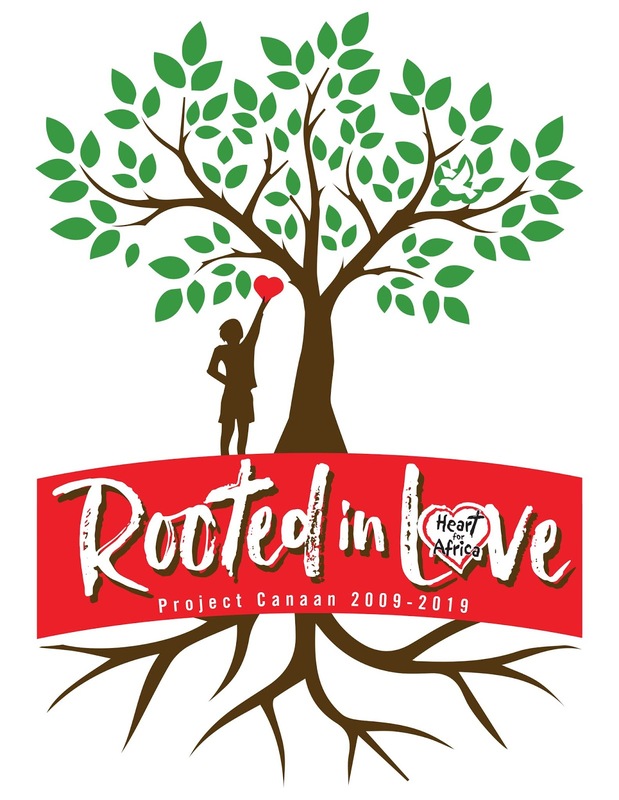 We have had 267 trees purchased and still need friends to help us reach our goal of 500 trees so that we can plant four different varieties and have fresh and health avocado fruit all year long. Will you buy a tree (or 10) today? 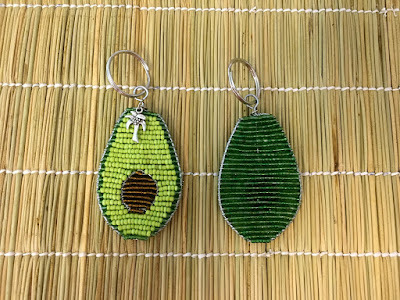 You can buy a keychain by clicking here or you can make a donation on line by clicking here and make a note in the comments that the gift is for avocado trees. 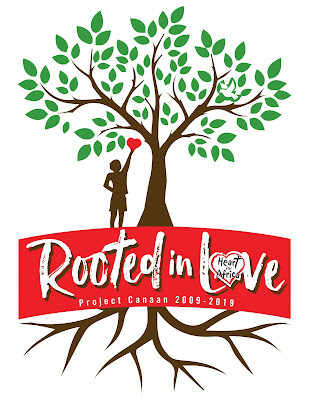 Let all we do this week be Rooted in LOVE. Live from eSwatini … thankful for a quiet Saturday morning.